With a population of over 8 million, Bangkok has a wide range of children’s activities that can provide fun filled entertainment for all the family. From exciting theme parks to outdoor attractions, there is something for every children to enjoy. Here are just five fun activities that you can enjoy with your kids in Bangkok. Kidzania is one of the most exciting additions to the ‘edutainment’ area in Bangkok. If you are looking for an attraction that is unlike anything you have seen before, make sure that you book yourself a visit to Kidzania with your children. With high levels of fun involved, you can be sure to keep your kids entertained for hours on end. There are a range of activities that your children can participate in, with many being both enjoyable and educational. Kidzania is open from 10:00am – 17:00pm on weekdays and 10:30am – 20:30pm on weekends and holidays. If you and your family are adrenaline junkies, no trip to Bangkok is complete without visiting Bounce Bangkok. With a climbing center and action-packed trampoline park to explore, this huge space is incredibly popular with children and teenagers. The center is open to everyone aged three and over, giving you fun filled entertainment for all the family. Bounce Bangkok is open from 10am – 22:00pm daily. Located in several locations across Bangkok, a classic children’s activity that is sure to interest your kids is ice skating. Bangkok is home to a wide variety of fantastic ice rinks, with one being Olympic-sized. If you are a bit wobbly on your skates, you can take part in a lesson to get you up to standard, helping you retain your balance when on the ice. Have a search online for ice skating rinks and other kids activities near me today. If you are looking for a thrill, make sure to pay Lazgame a visit when in Bangkok. A laser game can be fun for all the family and suitable for every type of weather. Games typically last for 15 minutes and really get your heart pumping. The attraction can be found at the Holiday Inn Sukhumvit and is spread across two floors within a maze of partitions and walls. It is open daily from 12:00pm – 22:00pm. If you want an attraction that is a guaranteed hit with your small children, then taking a trip to the Funarium Indoor Playground could be the right option for you. While the large entertainment space may resemble a warehouse from the outside, you can expect to find 2,000 m2 of activities when walking through the door. There is a soft play area for your little kids to enjoy as well as an arts and crafts center. Funarium is open from 09:00am – 19:00pm daily. 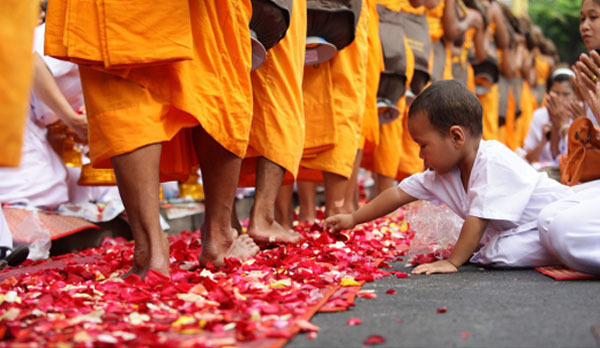 No matter what interests your children have, there is sure to be an activity that will suit them in Bangkok. Make sure that before you visit any of the attractions listed, you make note of opening times and ticket prices to avoid disappointing the whole family. It looks like there are plenty of things to do in Bangkok with children. I know Kidzania as there is one in the UK as well. It’s a very popular attraction for parents and children. These do sound like fun ideas. I’ve never been to Bangkok before. I really want to someday. My vote is always for a trampoline park. My boys love going to bounce and so do I.
Oh my gosh, all of that sounds like a blast, even if you’re not a kid! I’ve always wanted to visit Bangkok and now, I’ve got a few things to add to my list as a to-do! My family lived in Bangkok when I was in college. I loved to visit and there were so many cool things to take my younger brothers to go do. It’s such a fun, exciting city! These are pretty awesome activities to do. I know kids would love it and just enjoy every bits of it. Bangkok is a beautiful place! All these look like such fun activities. Lazer game and bouncing thing sounds so much fun!! It’s great to know that there is so much to do with kids in Bangkok. This will come in handy if I ever have a holiday there. It is great to see so many activities for kids in Bangkok. I have been there on many occasions and never knew that all of this existed. I saw few movies shoot in Bangkok and since then I wan to go and visit. Hopefully very soon this place has so many things to do for the whole family. Cool list. But I don’t have kids, so I will just skip them. I had been to Bangkok before. I wasn’t aware that there are these options for kids too. So many activities and suggestions to do in Bangkok! Love places where you can enjoy with a tour with the kids! After all, it’s a family vacation! Who knew Bangkok has so many options for kids. I am sure parents would be delighted to read all about this post. And those pictures are so clear and beautiful. I will send the link to some of my friends who are already parents and who have been canceling their trip to Bangkok after having kids. Nice blog about Bangkok! This looks like there are a huge amount of things to explore with our kids. Thanks for sharing. These are cool! Oh don’t forget to mention many public open green park for kids. Bangkok has a lot of them. These are free and many activities there are perfect for all ages.